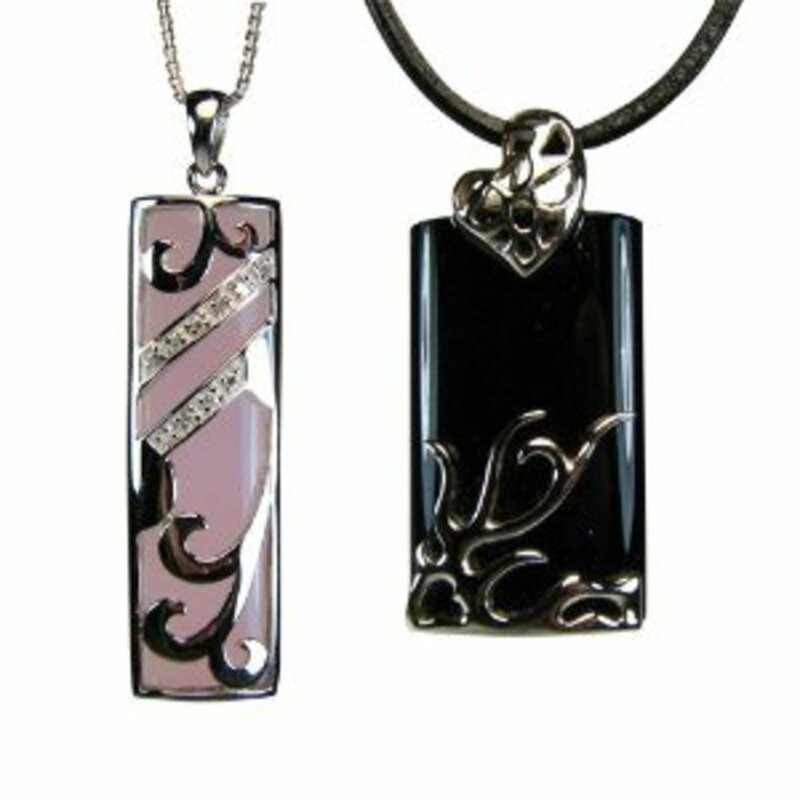 Matching Couples necklaces sets are a wonderful gift for two people in love - especially on Valentine's Day on February 14th for birthdays, anniversaries and as Christmas gifts. 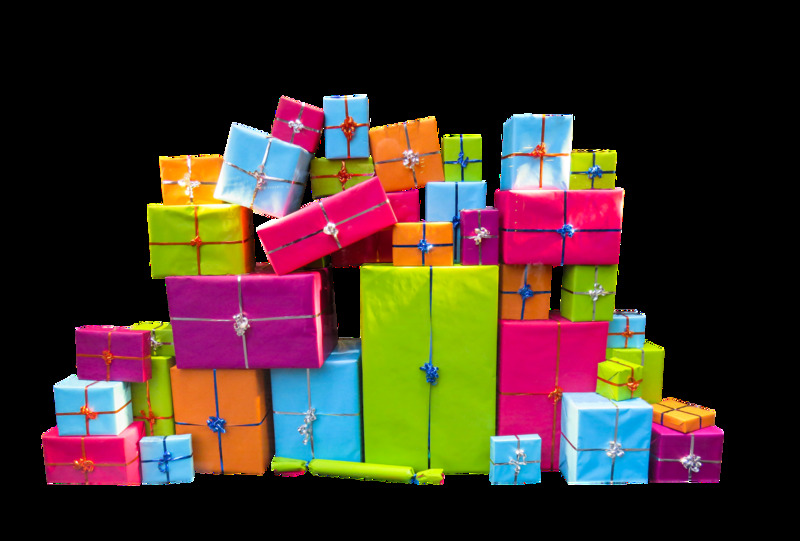 Some are definitely most suitable for one partner to give to the other whilst some are perfect for family members or close friends to give as a joint present - which is a great way of finding two gifts at the same time! A really lovely idea would be for a son or daughter to give one to their mother on Mothers day - especially if they are away from home. Let your Mom know she is always in your heart, every day! Mothering Sunday falls on April 3rd in UK and May 8th in USA in 2011. Some of these matching necklaces would make really beautiful Mothers Day gifts. If you are a boyfriend or girlfriend, husband or wife, looking for something very special that you can give to your ‘other half’ what better way to make them feel very special than with one of these beautiful two-part couples necklace sets to signify your love for each other. As one review put it, “instead of wearing your heart on your sleeve, wear it around your neck”. 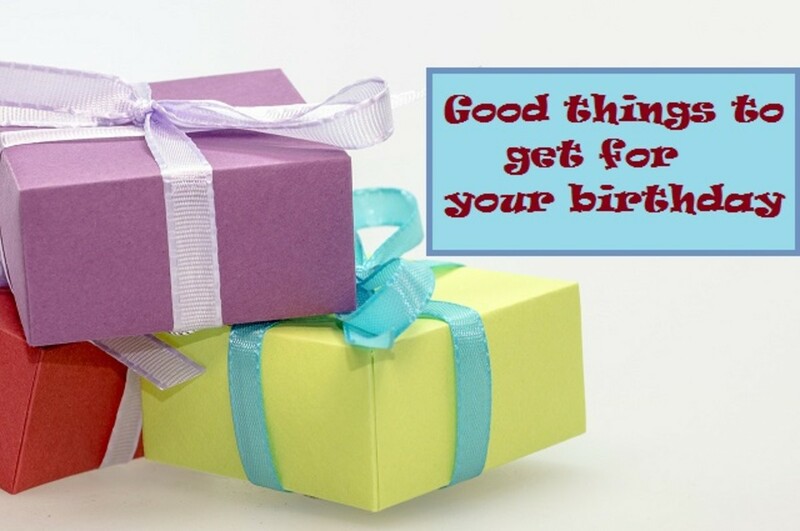 If you are looking for gift ideas for your boyfriend or girlfriend, I hope you will enjoy browsing through my selection of favourites which I have chosen for the popularity, style and level of customer feedback as to quality and that you will find something beautiful and which speaks meaning to you and your loved one. 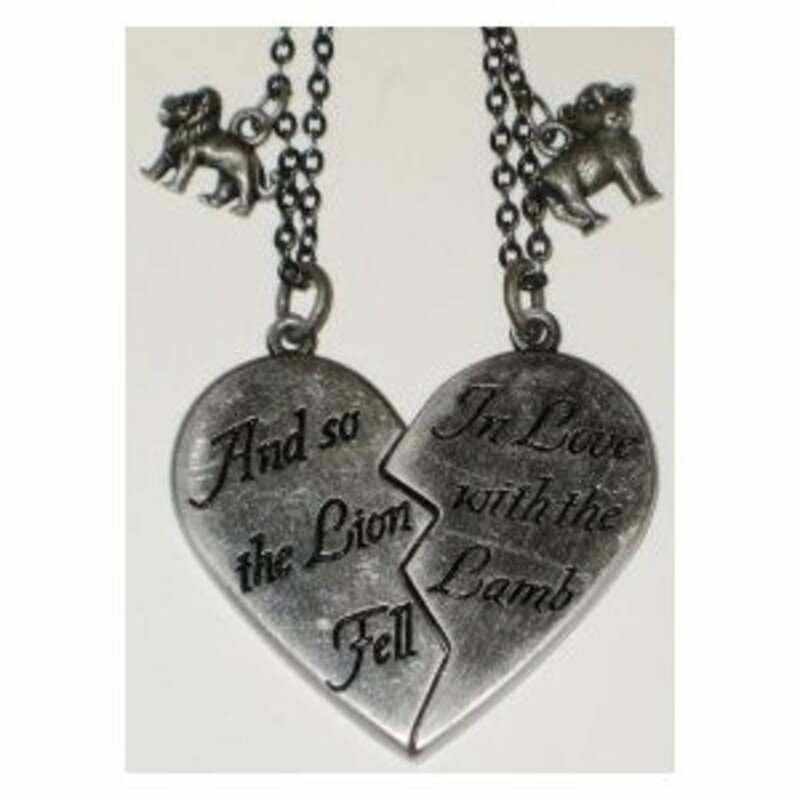 This Lion and the Lamb Broken Heart Necklace Set is an officially licensed Twilight gift product (link takes you to the Amazon product page where this set is available). It is magnetic so the two halves will stick together and can also be worn as a single necklace if you wish. Each single necklace forms one half of a heart. One bears the words "In Love with the Lamb" and this has a lamb charm. The other bears the words "And so the Lion Fell" and has a lion charm. On the reverse of each, is “Twilight”. Putting the two halves of the heart together make a single heart measuring approximately 1.5” tall by 1.5” wide (max). Dahlia Eternal Love Stainless Steel Interlocking Triple Rings Pendant Necklace Couples Set 18" and 24"
This is a beautiful and very symbolic gift for one partner to give to the other as the interlocking rings symbolise an eternal link. 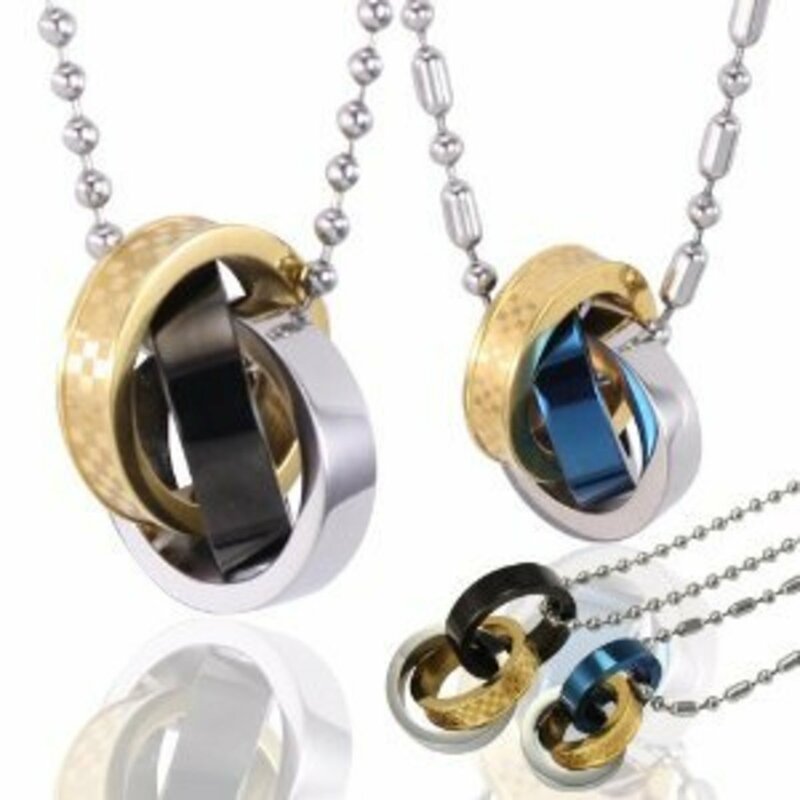 The larger of the two pendants has black, gold and silver tones and the smaller one, blue, gold and silver tones. The oval bead chain on the smaller pendant is 16” long whilst the larger one is usefully available in three sizes, 20”, 22” and 24”. As a size guide, the largest ring is 20mm in diameter. Both pendants are made from very high quality stainless steel which requires almost no maintenance to keep it looking like new. My All Time Favorite Phil Collins Track - Two Hearts, From The Movie, "Buster"
This lovely pendant set (see larger picture above) is made of the two halves of a single heart. This set comes with different chain length options and is also made of top quality stainless steel. The pendant with the two parts together measures 43mm high and 28.7mm wide. 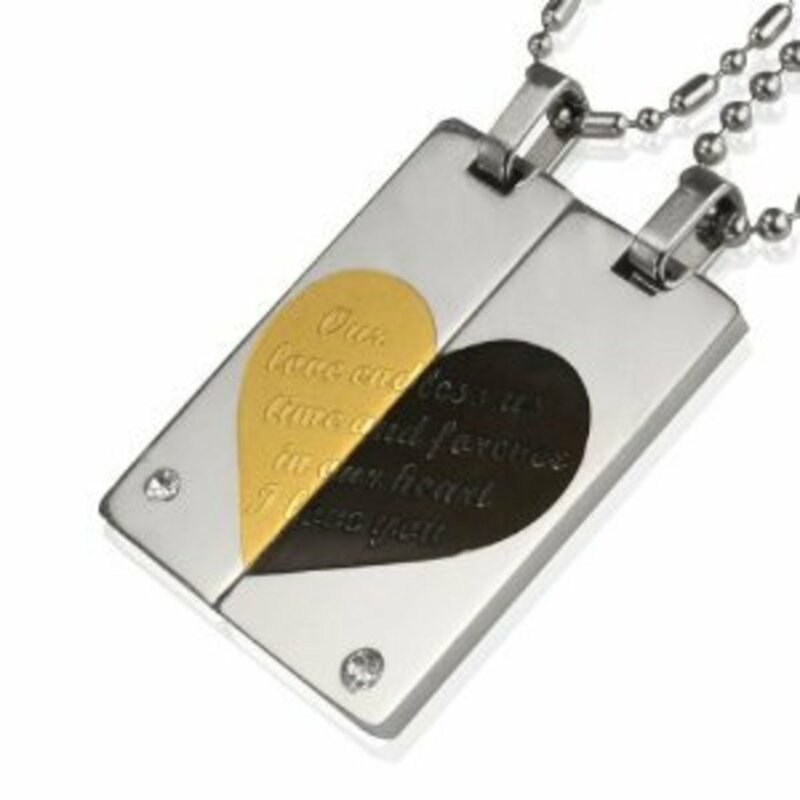 The sentiment of this lovely necklace for couples is that whilst they are apart for whatever reason, they hold each other in their hearts until they come together again. 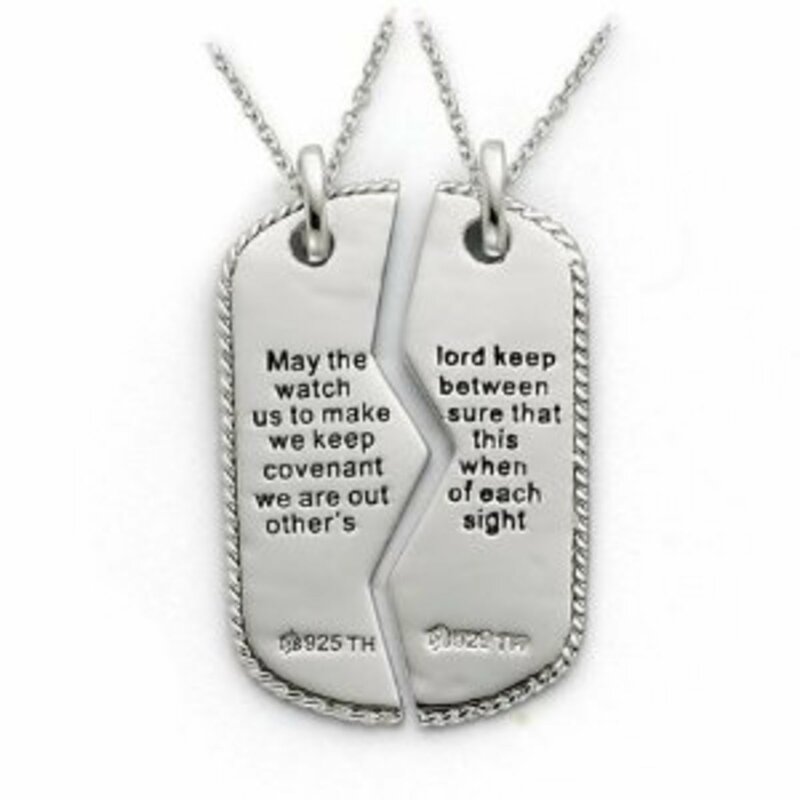 Each one holds a half of the dog tag pendant that the other wears to symbolise that the other is always in their hearts, thoughts and prayers. The inscription “May the Lord keep watch between us to make sure that we keep this covenant when we are out of each others sight." 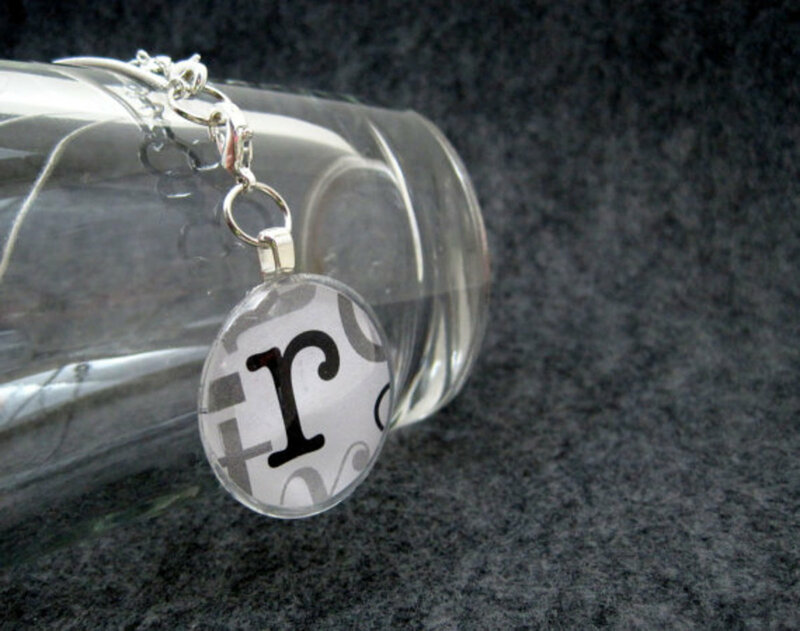 This necklace set is made of rhodium plated sterling silver with an antiqued finish to highlight the inscription. (Please see larger picture below). I found this gorgeous necklace set (see image below) whilst I was researching online this week and just had to come back and add it to this Hub! 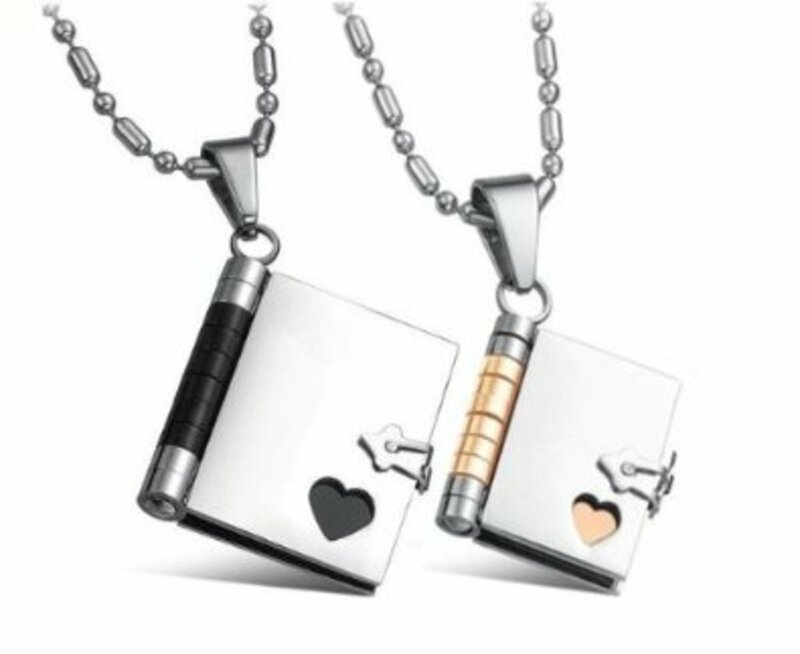 It is this lovely pair of Love Story book pendants which are made in hypoallergenic stainless steel which will stay looking just like brand new with the minimum of maintenance because it is highly resistant to corrosion and rust. There is a pendant for a girl and one for a boy, each of which have a lock which actually works, allowing the book to be opened to reveal three pages inside (gold tone on the girl's pendant, black on the boy's). I saved this Dragon and Phoenix You and Me Pendant Necklace Set in Rose Quartz, Midnight Blue Goldstone and Platinum Overlay CAREFREE Sterling Silver 'his and hers' pendant set until last as it is my absolute favourite. So symbolic and sooo romantic! All the sterling silver in this set is CAREFREE which is Rhodium plated which not only gives the expensive platinum sparkle to the jewelry, but gives the highest resistance to tarnishing. See larger picture below. Dragon and Phoenix Simulated Rose Quartz and Midnight Blue Goldstone Silver Pendant Necklace Set 16"
Hers is a 46mm long pink, rose quartz phoenix pendant featuring a sterling silver phoenix tail and ten cubic zirconia stones on a 16” sterling silver chain (there is an 18” option too). The Phoenix is the king of birds in Chinese tradition, symbolising the womanly virtues – benevolence, righteousness, propriety, wisdom and sincerity. His is a 40 mm long, sparkling midnight blue goldstone pendant holiding a sterling silver dragon head and is held on a 20” leather necklace with sterling silver clasp. The dragon is the ancient Chinese representation of the strongest and most handsome man of all men. What Do You Think of Couples Necklace Sets? 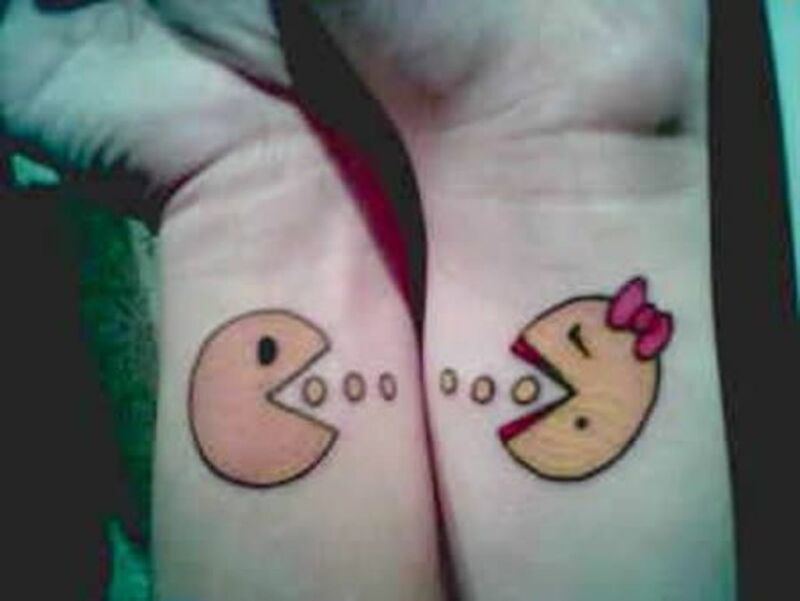 I think its a really romantic idea! I Hope you have enjoyed reading my hub and have got some ideas for gifts for couples or maybe your own 'other half'. All of these lovely necklaces are great Valentines Day gift ideas for February 14th, or at any time of the year. Couples Necklaces are very popular and thoughtful and I have had great fun researching this selection which I hope you like as much as I do. Please use the Tweet and Like buttons at the top of the page to share this hub on Twitter and Facebook and let me know what you think by using the vote button and leaving me a commet below - I would love to hear from you. Thank you Homer - your comment is much appreciated, thanks for the encouragement. 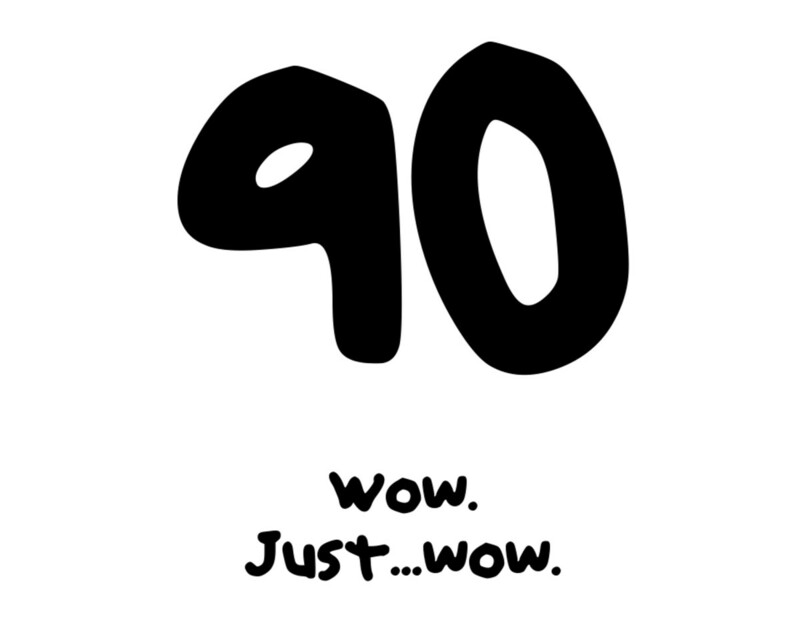 Very good hub!I love well-written articles. Thank you, goodness you were quick! Glad you liked my suggestions for couples necklace sets.